Garden Markers | Als Ik Kan Designs – Woodworking, Crafts, and More! 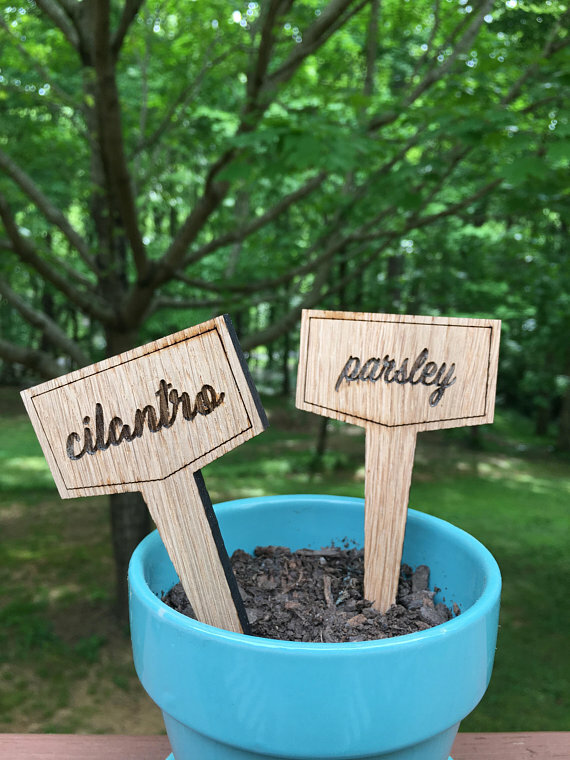 Identify the herbs in your garden with these delightful plant markers. Made from rot-resistant white oak, they are available in two sizes.